This was the inaugural header image, and what a fine start it was. Kanade x Hibiki was a great launching point to begin this yuri journey, and isya is the one to thank for this beautiful piece of art. This is an original work (by this artist), and it was the start of utilizing more diverse fonts in the headers. 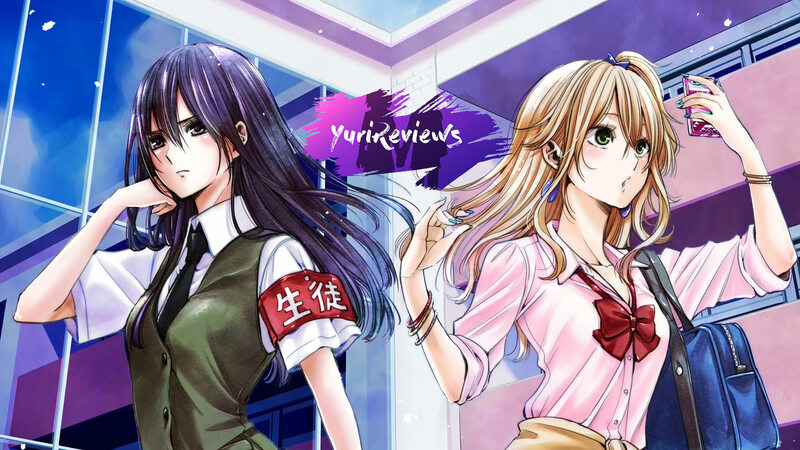 This may have also been the shortest-lived header in YuriReviews’ history, which is a bit of a shame. Nevertheless, it’s still a great pic. If the previous header had the shortest tenure, this one definitely has the longest. MadoHomu is a legendary yuri pairing, so it only made sense to showcase them for the entire internet to see. It was also the debut of the official font of YuriReviews, Brush Script. 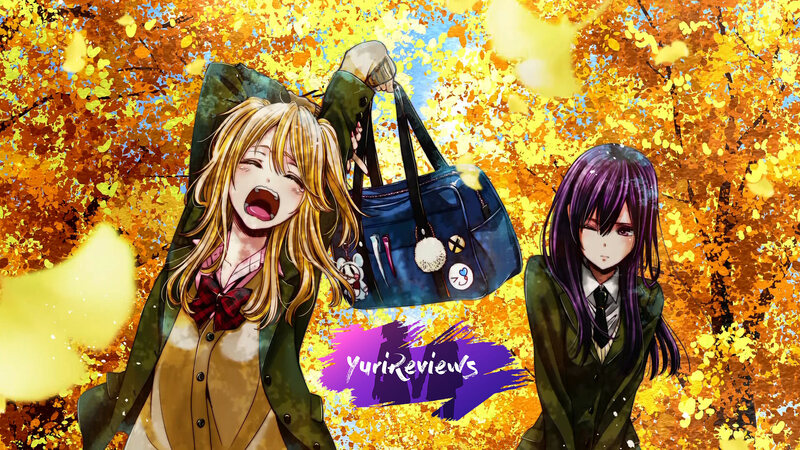 These next 3 headers came as a result of the first YuriReviews survey in late 2014. Flowers has received a ton of attention since it was first announced, so featuring it as a header was a no-brainer. The art is so elegant and helps to bring a little something different to YR.
They’re still the number one pairing in this top 10 list, so they had to be included, too. 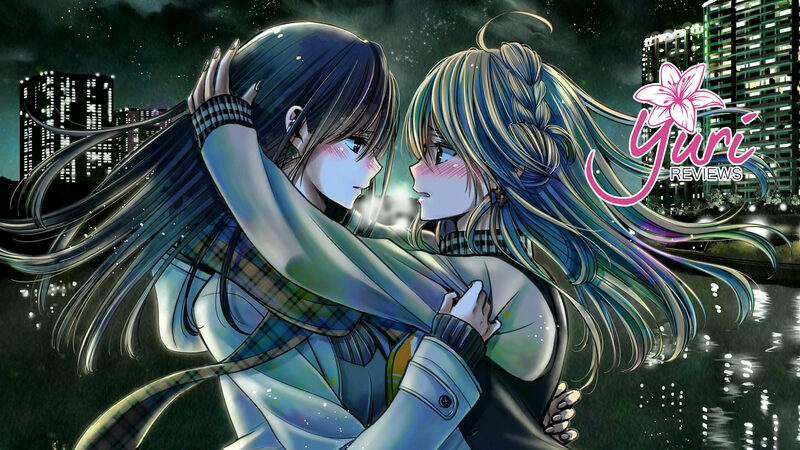 Vivit Gray is the one responsible for this beauty, and this is just one of the reasons why she was chosen as our top yuri artist in this top 10 list. Touhou is so huge that one pairing just wasn’t enough, there had to be more. Sakuya x Meiling is the other Touhou couple to grace us with their presence, and they look right at home. Fall 2014 was certainly a golden age for YR headers. Hibike! Euphonium just finished airing, but Kumiko x Reina have taken the yuri world by storm, so they needed their own header too. This pic came about thanks to our July 2015 survey, so you guys deserve the thanks for this one. Go on, pat yourself on the back. Go on! This header is for a limited time only. It’s to celebrate Yuzu’s triumphant victory in our Best Yuri Character Tournament. Since its release, Citrus has been pretty big for YR, so it’s only fitting that she’s crowned the winner. Congratulations, Yuzu! As part of the 2015 makeover of the blog, several more headers were added into the mix via reader poll. Akuma no Riddle may not have gotten the attention it deserved, but Tokaku & Haru did enough to join the header club with this sweet entry. Way to go, girls! Thus far, all of the pairings featured in our headers come from relatively new works. That all changes here with Michiru & Haruka from Sailor Moon. Many newer yuri fans may not know that much about them, so it’s nice to bring a little old-school flavor back to the present. This pairing definitely aren’t strangers to YuriReviews. You guys just can’t seem to get enough of Akaga, so it’s not that surprising to see them once again grace us with their presence. The way things have been going, YR may become AkagaReviews, thanks to you guys. Not wanting to see Akaga get all of the KanColle love, Mutsu & Nagato garnered enough votes to force their way onto the blog as well. At this point, I think it’s safe to say that ship girls are slowly catching up to schoolgirls, as far as trendy yuri pairings go. I guess this is making up for lost time, so Chikane & Himeko weren’t happy with just one header, they needed two. I don’t think anyone who’s into yuri can disagree that if any pairing deserves it, it’s probably this one. Good job of righting a wrong, voters. As the header that received the most votes in our Fall 2015 header poll, it’s clear that MadoHomu are near and dear to the hearts of YR readers. At this point, it’s unclear if any time-traveling girl went back and voted multiple times for this one, but I have my eye on you anyway, Homura! In a win for plus-size headers everywhere, MadoHomu make their unprecedented third appearance on this list. Akaga had two, and Chikane x Himeko have two now as well, but neither can match the threepeat that this pairing has accomplished. Hail to the queens! Not to be outdone by the influx of ship girls, the schoolgirls strike back with another header of their own, and it’s an original. This header leaves the actual kiss to the imagination, but I think that adds to the charm. Note the lilies in the bottom right corner. What a nice touch. It’s not much of a surprise that the top pairing from one of the only pure yuri shows from recent memory gets enough love from you folks to make it here. It is a little surprising that they’re not kissing, but by the looks of it, it’s only a matter of time. 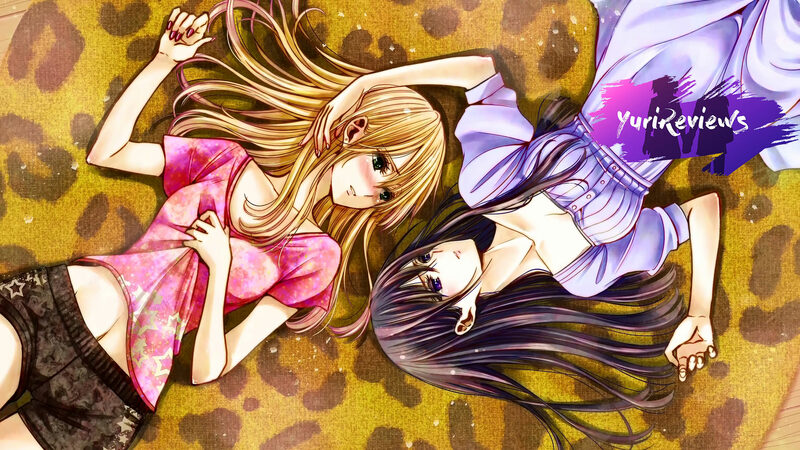 Yuri visual novels are a pretty big deal, so adding this Eris x Shizuku header can kind of be viewed as a win for the medium. SonoHana was actually the second post ever published on YuriReviews, so seeing these girls get some love is great to see. If there was a Yuri Hall of Fame, this pairing would be in there, no doubt about it. There were three Strawberry Panic entries in our header poll, so it’s quite the accomplishment to still be able to get enough votes, despite voters being split amongst those three headers. There were so many good Strawberry Panic entries that we couldn’t just have one. Nagisa and Shizuma are probably one of the most well-known pairings in yuri history, so it was a no-brainer to give them another. This pairing flies under the radar compared to most others that have headers here on YR, but that didn’t stop you guys from voting them in anyway. As the 2015 header extravaganza of ours came to a close, big thanks go out to the many folks who voted for their favorites. After nearly a full calendar year without a new one, we’re proud to welcome Pharmercy to our list of headers, courtesy of this artist. Overwatch has been huge this year, and its not surprising that these two have become so popular. Justice rains from above! I’d really love to see some flyco stuff here https://www.pixiv.net/member.php?id=1024922. Amazing illustrator! Or maybe cat/animal ears, fluffy animal ears!